'Desert Melody' OGB- (Lin Flanagan, R. 1989). Seedling 85014-1. AB, 30" (76 cm). Late bloom. 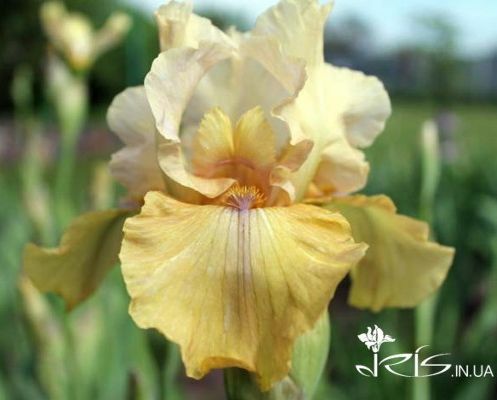 Standards light yellow; Falls medium yellow; faint violet flush around light orange beard; lightly ruffled; slight fragrance. 'Vanity' X 78001-6: ('Thunderstorm' x 'Mayfest'). Aril Society, 1990.